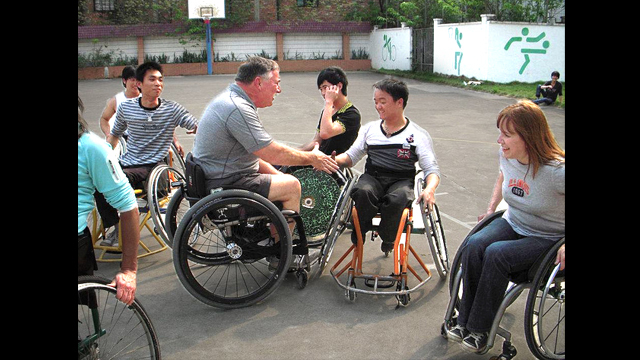 Participants from Mobility International USA and Guangzhou English Training Center (GETCH) students work together on the court. 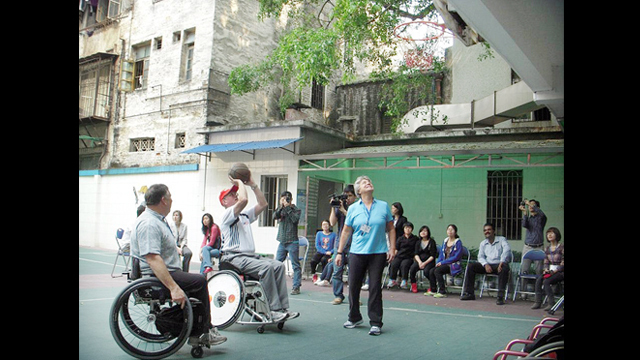 Consul General, Brian L. Goldbeck, participates in a demo at the Guangzhou English Training Center for the Handicapped in China. 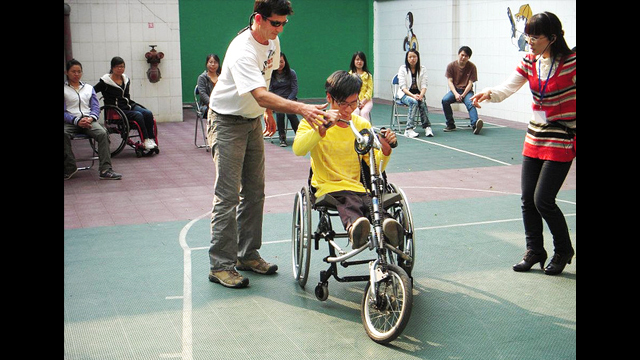 Guangzhou English Training Center (GETCH) students lead an adaptive cycling session in China. Consul General, Brian L. Goldbeck, poses with two participants from China and the U.S. 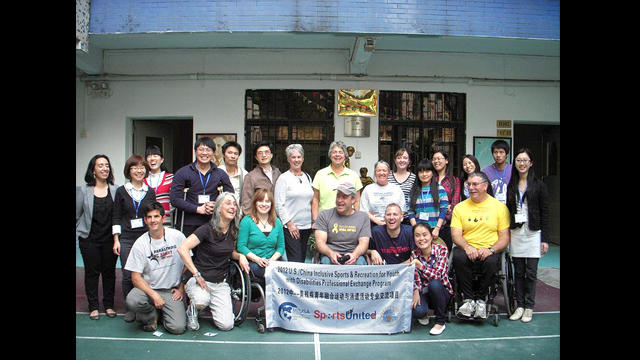 The U.S. group, hosts, and 2011 Mobility International USA alumni gather at the Guangdong Peiying Vocational Tech School in China. 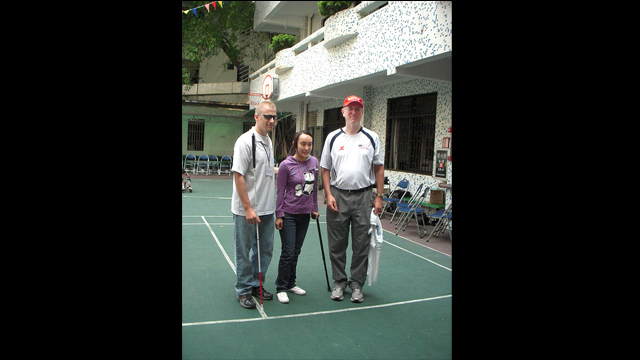 American disability professionals from Mobility International USA, through a Sports Grant, traveled to Guangzhou, China to help young people with disabilities become more involved in sports and to increase their self-confidence and involvement in the larger community. The Americans conducted disability-inclusive sports and recreation programs for young people and shared expertise on creating disability-inclusive programs in schools and sports clubs.